Join me in the British Virgin Islands! The BVI Charitable Fund, which is organizing the December series of the 2009 Virgin Islands Winemakers Dinners, announced today that Chef Anne Burrell, the host of the Food Network program “Secrets of a Restaurant Chef” and sous-chef to Mario Batali on Iron Chef America will be one of the six visiting chefs participating in the four dinners that will be held in four special locations in the BVI between December 3rd and 6th. The seven wineries presenting their wines include Francis Ford Coppola’s Rubicon from California; Cheval des Andes from Argentina; Weingut Grans Fassian from Leiwen, Germany; Tenuta San Leonardo from Trentino, Italy; the Grand Cru champagne house Pierre Paillard from Bouzy, France; Weingut Reinhold Haart from Piesport, Germany and Terrazas De Los Andes from Argentina. All the wineries are donating the wines poured during this event. In addition each winery is donating some interesting wines for a small auction. the other participating chefs include former Top Chef contestant Otto Borsich who has also worked at some of America’s finest establishments including the Pierre Hotel, Le Bernadin, Bellagio Hotel and Charlie Trotters; Taekyung Chung from Chung Cooking Studio, Tokyo, Japan who is the author of The Korean Table, the bible of Korean Cooking and Roberto Trevino from the Bodati, San Juan, Puerto Rico who participated in Iron Chef America and the Next Iron Chef. Swiss born Albert Kramer accepted a special invitation from the Hon. Premier to return to the BVI for the Virgin Islands Winemakers Dinners. 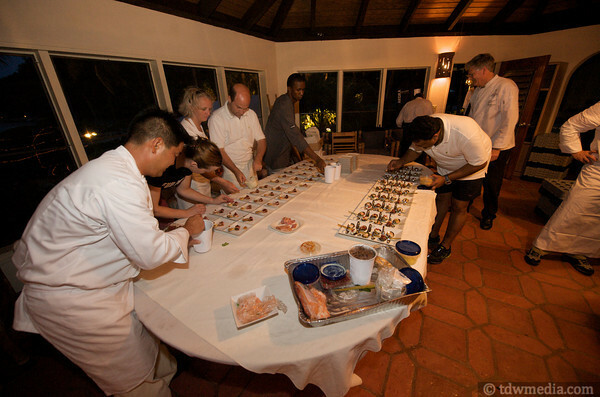 Chef Kramer was the first Executive Chef at Little Dix Bay Resort in Virgin Gorda when Laurance Rockefeller opened it in 1964. He also became the first developer of Nail Bay in 1966. Chef Kramer has worked all over the world after he left the BVI in 1967. Pastry Chef Heidi Benyair of Biras Creek Resort, Virgin Gorda who previously worked as a pastry chef for Gordon Ramsay at Claridges in London will be working with local chefs to prepare the desserts for each night. All the chefs including the visiting chefs are volunteering their time and talent. 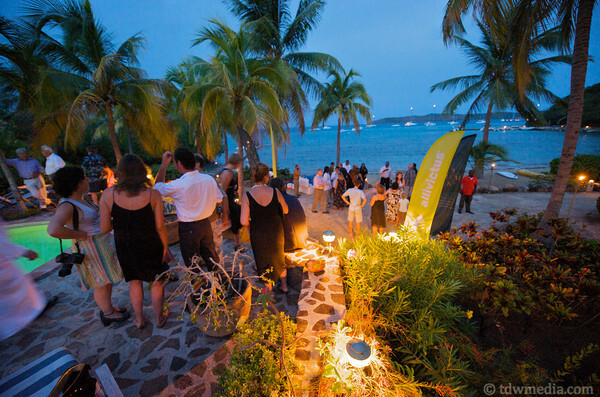 A VIP Reception will kick off the December series of the Winemakers Dinners on December 2nd at Pirates Bight on Norman Island, allegedly the inspiration for Robert Louis Stevenson’s Treasure Island. On December 5th, the new reincarnation of Giorgio’s Table, which is Virgin Gorda’s newest restaurant, will host the third dinner. 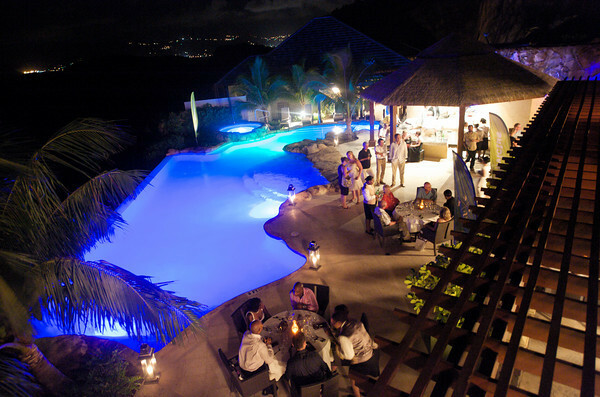 The final dinner will be held on December 6th at The Golden Pavilion in Tortola, a one of a kind Balinese-style villa on four gated acres. In addition to the four dinners, there will be seven luncheons at various restaurants in Virgin Gorda and Tortola featuring a three-course lunch with one of the seven wineries presenting their wines. A limited number of tickets to the December dinners will be available with sponsorships, which can be purchased on or after November 1, 2009 on-line at www.winemakersdinners.com. The Co-Chairs of the BVI Charitable Fund are the Premier of the British Virgin Islands, the Hon. Ralph T. O’Neal, OBE and Ajit Mathew George, Managing Director, Nail Bay Resort. The BVI Charitable Fund was established on Easter Monday, March 24, 2008 with a $25,000 challenge grant from Nail Bay Resort to create new and innovative fund-raising events to benefit various charities in the BVI by attracting support from both outside and with the BVI while at the same time promoting this destination to potential new visitors. The four beneficiaries of the net proceeds of the 2009 Winemakers Dinners are all in the British Virgin Islands including The BVI Red Cross, St. Mary’s School, Virgin Gorda, St. George’s School, Tortola and YEP (Youth Empowerment Project) in the East End, Tortola. 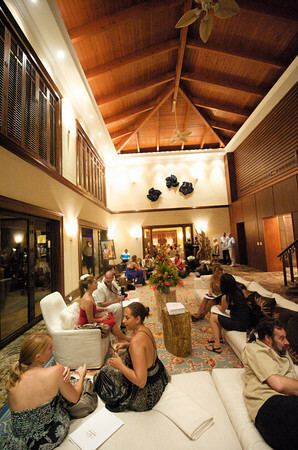 The BVI Tourist Board is the Presenting Sponsor of the 2009 and 2010 Winemakers Dinners. 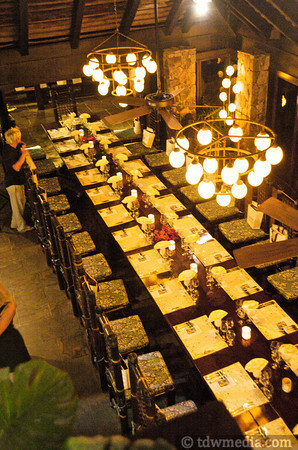 For additional information on winemakers, chefs , lunch and dinner locations, visit www.winemakersdinners.com. 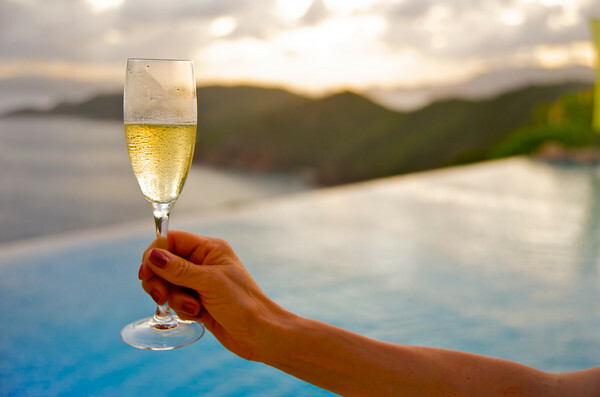 As for me, you’ll find me sipping wine while overlooking the beautiful Caribbean blue waters.